Angee discovered her connection to horses at a very young age. Growing up in southern Ontario in a dysfunctional and broken home, Angee often sought refuge in her families barn with the animals. It was with the horses that Angee first felt safe and secure. These powerful creatures became her closest friends, confidantes and teachers. Angee left home at the tender age of 14,her path brought her through many hardships and adversities but through it all, her connection to animals became stronger than ever before, leading Angee to discover her dream of helping others heal from trauma and abuse through animal work. Angee started her farm, Sky River Meadows, as an animal rehabilitation center where she hoped to combine her passion for helping animals and people to heal together. Angee enrolled in Nipissing University earning her BA(Hons) in Child and Family Studies in 2013. Upon graduation from University, Angee began a Youth Mentorship program at her farm where she taught children the joys of living with animals and began sharing her knowledge of animal care, husbandry, cheese and soap making skills with a new generation. Angee joined the Woodfield project in 2014 as the Manager of Animal Programs where she brought her animals to children and adults in need of healing. It was here that a new opportunity presented itself –how to bring back the feeling of “safe and secure” to the many people and their families, suffering from illness, including grief. Horses were once again in Angee’s life as she recognized the healing power of these magnificent animals. She visited Horse Spirit Connections to experience firsthand the depth and breadth of what horses could offer. 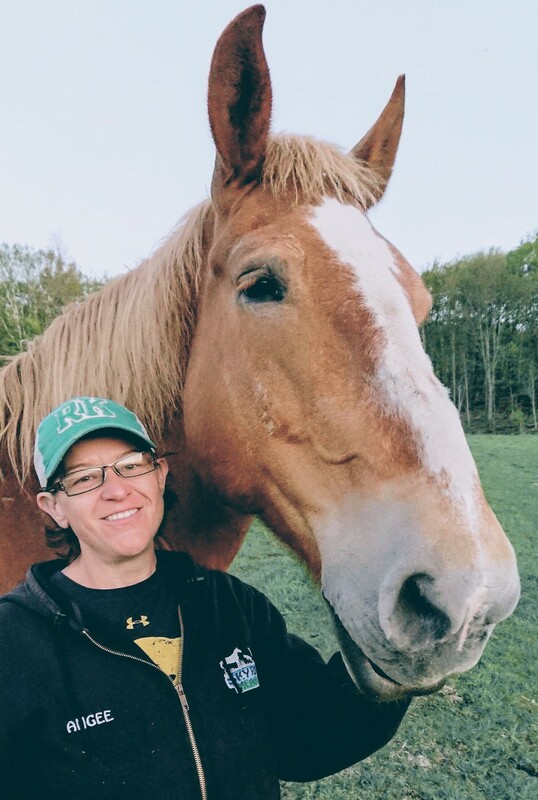 Angee became a Certified FEEL Practitioner in October of 2018, allowing her to bridge the gap in human/horse/animal connections even further.